Our Mission Statement: We at All Wheel Alignment & Brake strive to be the most versatile, honest, and skilled repair facility providing the excellent service our community can trust. We continue to grow as the authority in ALL Auto, Truck, and RV repairs. 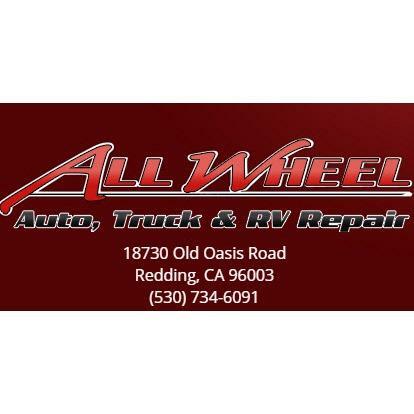 Conveniently located off of Interstate 5 with easy access for all vehicles including Autos, Pick Ups, Motorhomes, Trailers, Heavy trucks, Busses, and commercial vehicles. We have a very large lot with easy in and out access for all travelers. We offer free power, water, picnic area, cable, and much more while waiting for your service. We know the area well and can direct you to places of interest during your stay or visit to our area. All work has a Nationwide Guarantee! All Wheel Alignment & Brake performs complete service from Oil Changes to Major Repairs and of course The Very Best in Wheel Alignment and Brake service. We are your One-Stop shop for ALL your vehicle&apos;s needs. Our certified technicians have the experience to work on any vehicle!